Ever since the disgusting meal I had to endure at the Whalley location of Pearl Castle, it further reinforced my belief that different locations of chain restaurants are truly not made equal. I've never had a bad experience at the Richmond location, so the crappy beef noodle I had in Surrey was an unpleasant surprise. To put this to the test once more, we headed to the newly opened store tucked away within Old Orchard Mall in Burnaby. Oh and when I say tucked away, it is an understatement. It was like we were doing our best impression of "Where is Waldo?" as we circled the parking lot. Once inside, we were greeted by the usual bright colourful decor consistent with the chain. Gordo and I decided to split the Chicken Nuggets to start and they were pretty much like the other locations of Pearl Castle. These were lightly crisp on the outside with enough saltiness. Inside, they were juicy and moist. The lack of fatty chicken skin was welcomed as well. I decided to add another item being the Fried Red Fermented Pork. 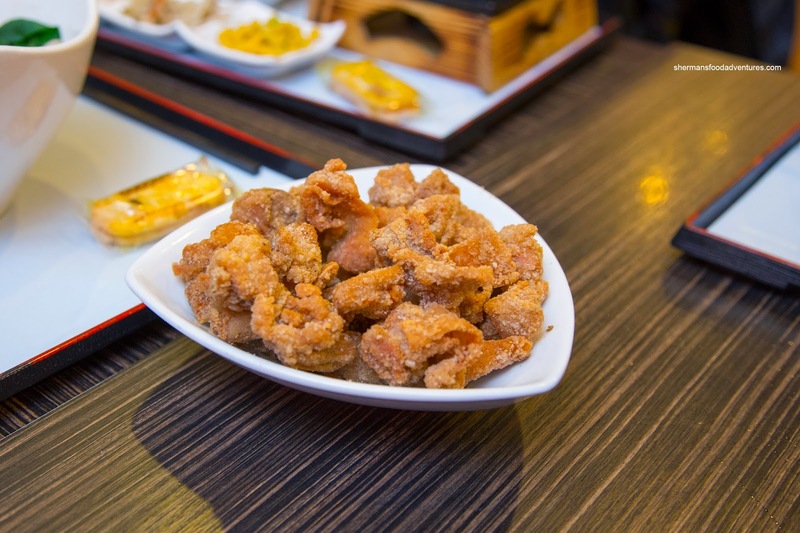 As much as this is offered at other Taiwanese restaurants, it is surprising that the one at Pearl Castle is consistently one of the better ones. 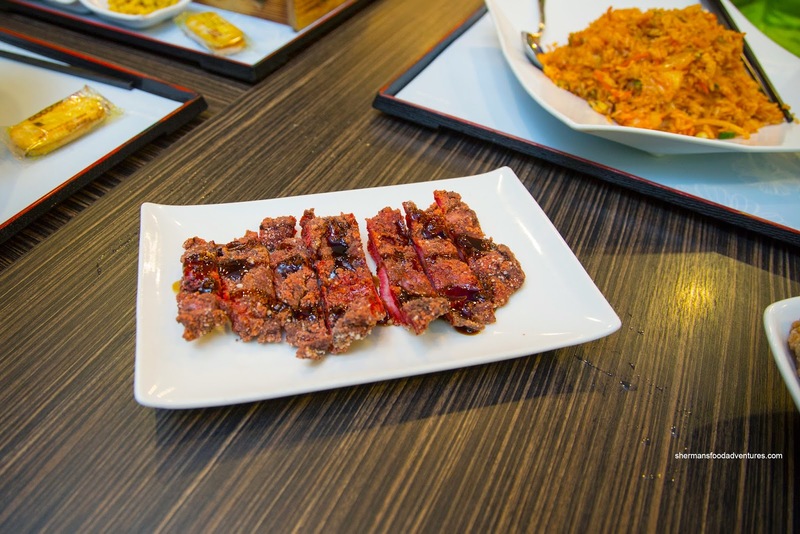 This time around, it was on point being crunchy on the outside, while succulent on the inside with the pungent and salty taste of fermented red tofu. For his main, Gordo went for his ol' standby being the Taiwanese Beef Noodle. Despite the large deep bowl, there was not a whole lot of food to be found. The al dente wide noodles were slurped up pretty quickly. As for the chunks of beef, they were moist and tender while being well-seasoned with five-spice. Unlike the Whalley location, the beef broth was decent with some depth while not being salty. 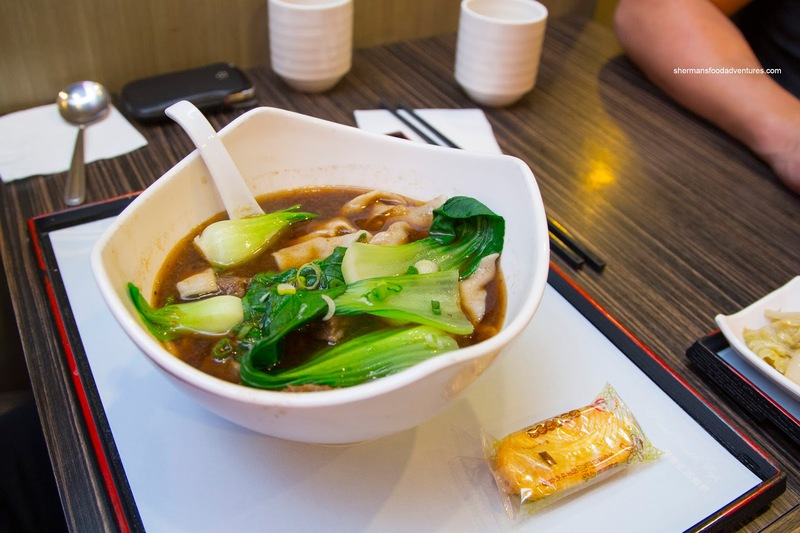 The crunchy Shanghai bak choy helped add some vegetable and brightness to the dish. 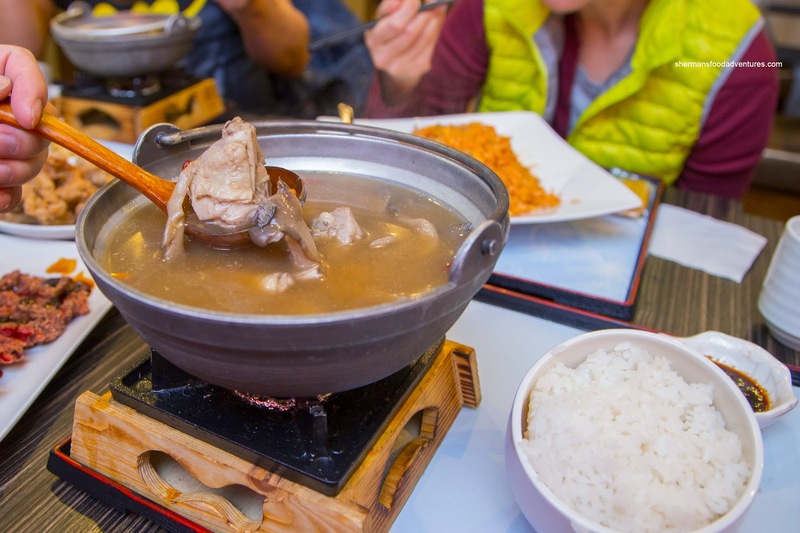 For myself, I originally wanted the Ginseng Chicken Hot Pot, but they ran out it and I had the other version instead (Botany Chicken Hot Pot). It wasn't bad with lots of tender dark meat. The broth was flavourful in a sweet gingery manner, but mostly on a superficial level lacking depth. 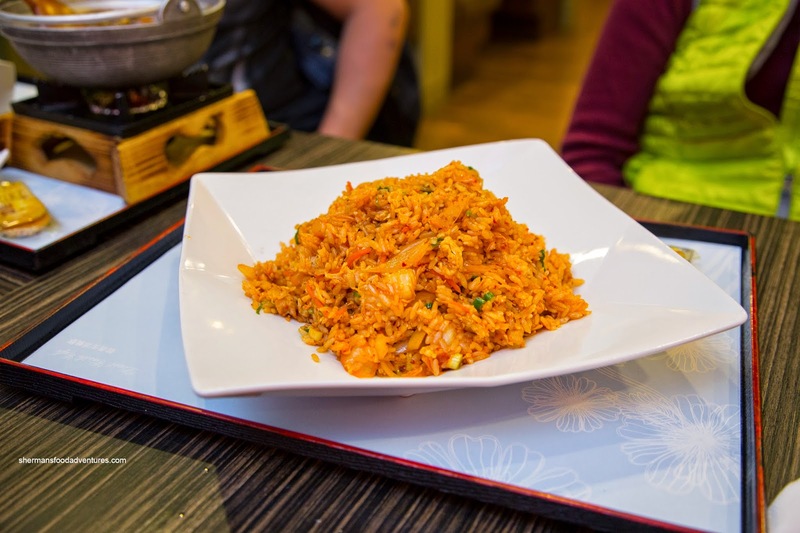 Sweet tooth went for the Kimchi Fried Rice which was slightly spicy accented by the classic kimchi tang. The rice itself was on the wetter side due to the ingredients. At the same time, the rice wasn't mushy per se, in fact, it was rather chewy. She did remark that there was a bit too much grease though. Lionel Hutz also had a hot pot with the Beef Brisket Hot Pot. He found the starch-thickened broth to be somewhat mild where there was a whole lot more seasoning than actual meat flavour. As for the beef itself, the chunks were sufficiently moist. Overall, he thought it was quite "meh" as it didn't offer up any distinguishing flavours. Of course we couldn't pay Pearl Castle a visit without some bubble tea right? It's like visiting Richmond without being cut off by a white Mercedes.. 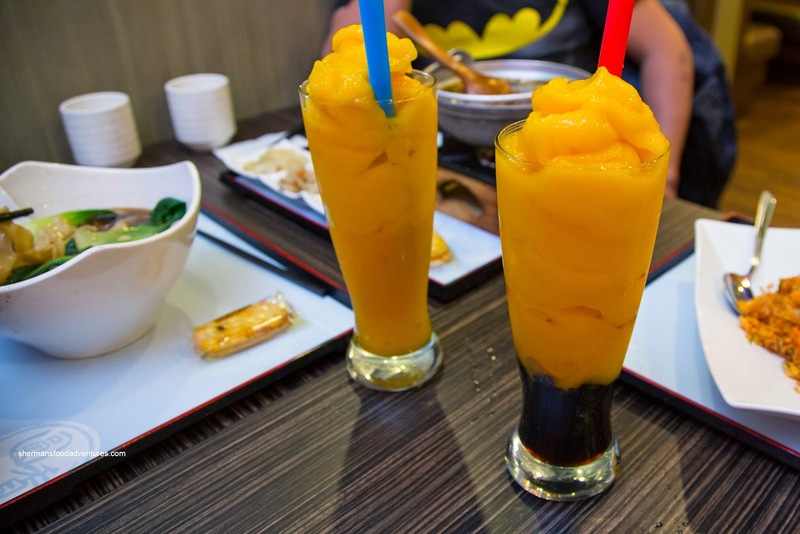 So we ended up with mostly the same drinks being the Mango Slush. These were blended fairly smooth with no icy bits. There was a definite sweetness, but not overly so. 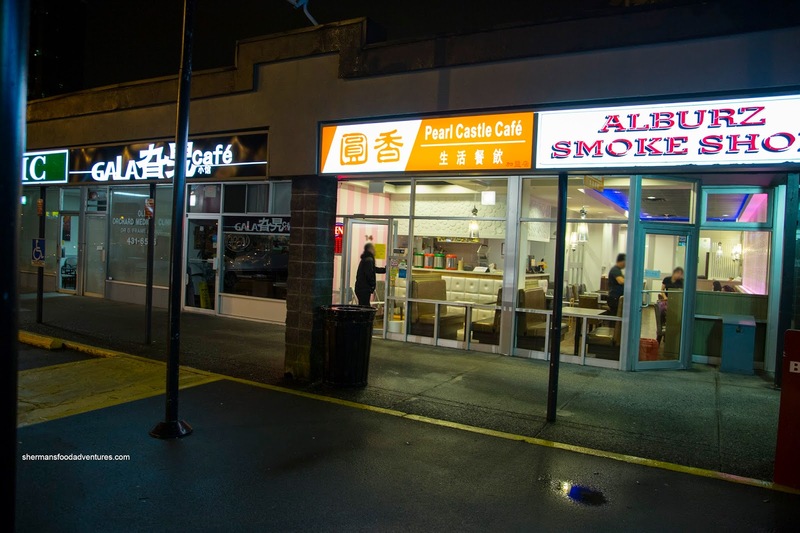 In the end, this location of Pearl Castle satisfied a need - a late-night spot that we could get some eats in Burnaby. Nothing super-exciting, but decent nonetheless. 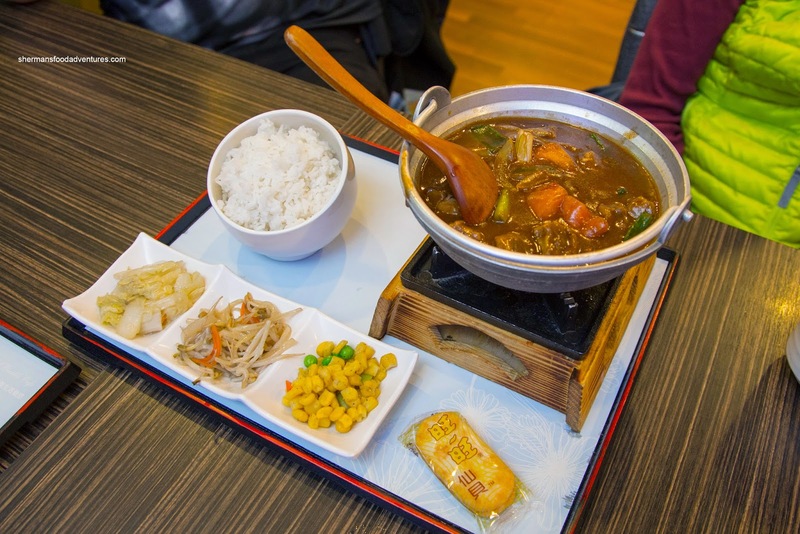 What is "Botany Chicken Hot Pot" supposed to be seasoned/flavored with ? Flowery herbs ? Or is that just a name ?